The Polynesian rat (Rattus exulans). 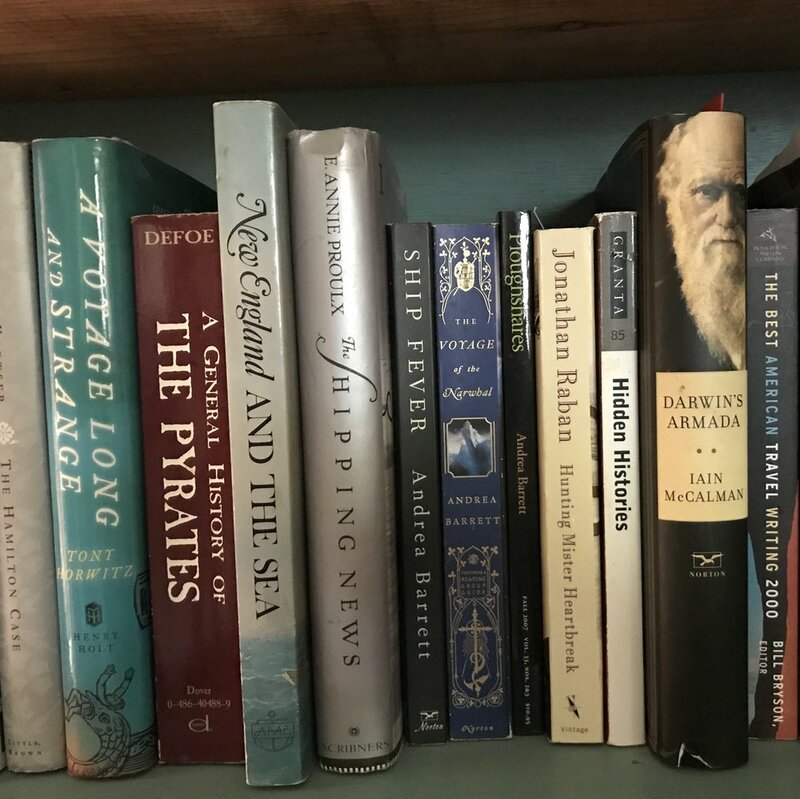 Books about history and the sea. Three years before my mother’s final illness she had a major stroke. It was not a typical stroke—more cascade than cataclysm—but when it was over it had laid her low as effectively as a bolt of lightning. "'Into the Silence' by Wade Davis," Boston Globe, October 21, 2011. "'The Man Within My Head,' by Pico Iyer," Boston Globe, January 1, 2012. "If we couldn't read," Boston Globe, February 5, 2012. "'Horseshoe Crabs and Velvet Worms' by Richard Fortey," Boston Globe, April 12, 2012. "'The Human Shore' by John R. Gillis and 'Among the Islands' by Tim Flannery," Boston Globe, November 24, 2012. "'Alone on the Ice' by David Roberts," Boston Globe, January 26, 2013. "'The Sea Inside' by Philip Hoare," Boston Globe, June 7, 2014. "Good audiobooks for Thanksgiving travel," Boston Globe, November 21, 2015. "'The White Road: Journey into Obsession,' by Edmund de Waal," Boston Globe, November 7, 2015. "'In Other Words,' a stranger in a strange language," Boston Globe, February 6, 2016. "Take on audio 'Odyssey,'" Boston Globe, November 29, 2014. "For summer travel, 6 classic children's audiobooks," Boston Globe, July 15, 2016.